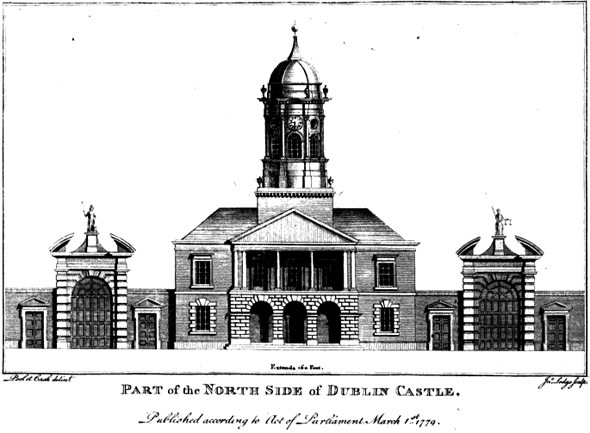 In the eighteenth century as the Georgian streetscape of Dublin was being developed, the castle was redeveloped also. 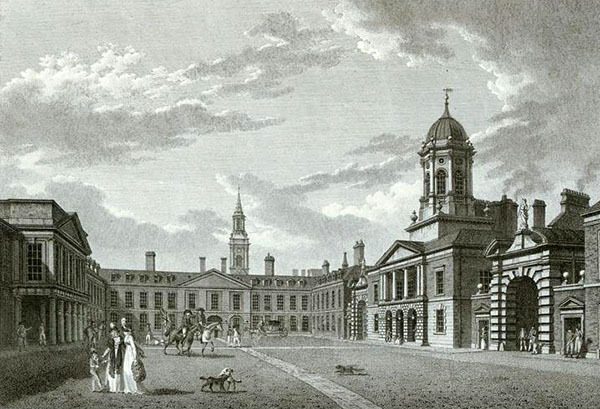 A young architect believed to be Sir Edward Lovett Pearce redesigned the upper yard using the basic design inherited from Sir William Robinson. 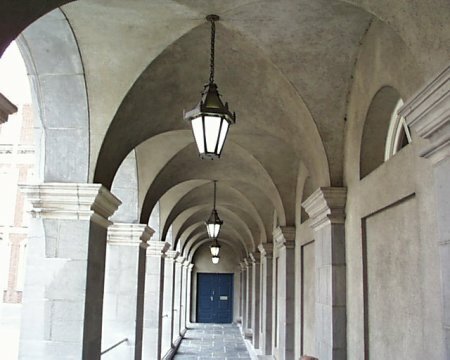 These ranges constructed in the 1680s are similar to those present today. 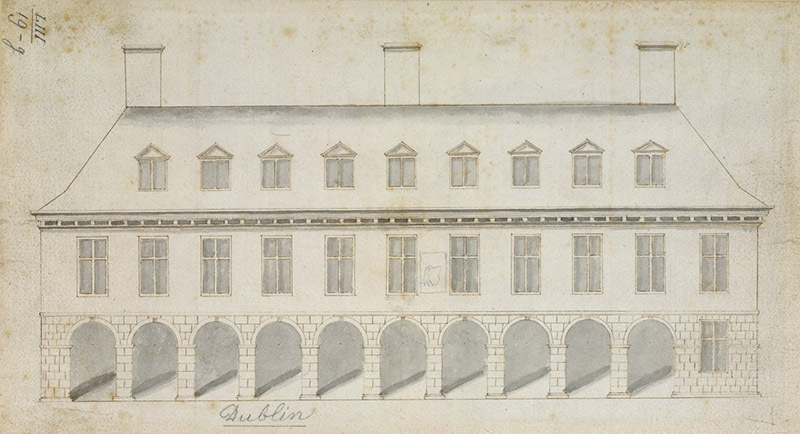 The illustration in Charles Brooking’s map of Dublin of 1728 shows the Castle in transition, with building work well underway. The east, south-east and west ranges had been completed and are recognisable today. The south-west range was under construction, with the Gate Towers still in existence, beside the site where the north-east wall had been demolished. 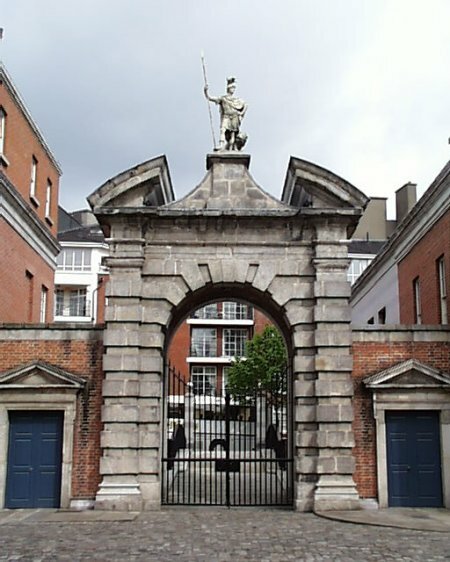 The Genelogical Office or Bedford Tower was constructed around the 1750s along with its flanking gateways to the city. 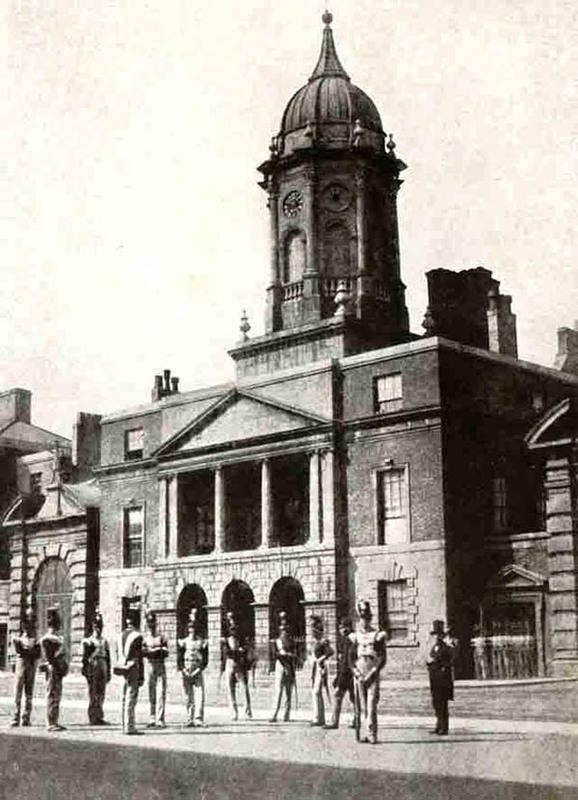 The clock tower is named after the Duke of Bedford, John Russell who was the Lord Lieutenant and is constructed on the site of one of the original towers. 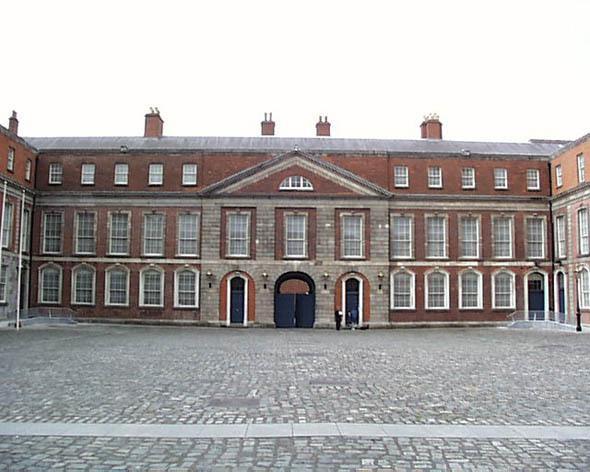 The State Apartments for the Viceroy were constructed and the upper yard laid out as it exists today. In the 19th century, an attic storey was constructed in place of the dormers. 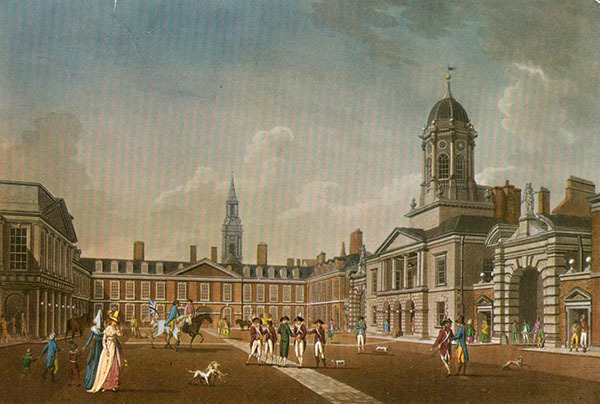 In 1779 it was stated that ‘this castle is far superior to the palace of St James’s as well as in the exterior, as to the size and elegance of the apartments within’. 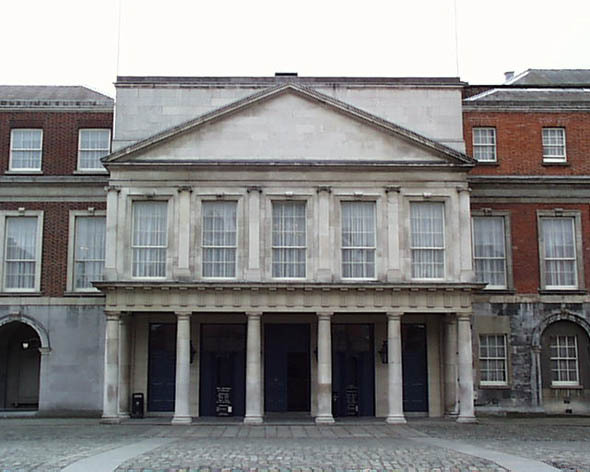 During the 1798 rebellion, the courtyard was used for storing the dead and wounded – a fate that St James’s never had to endure. In 1803 the Emmet led rising again attempted to capture the castle and failed. 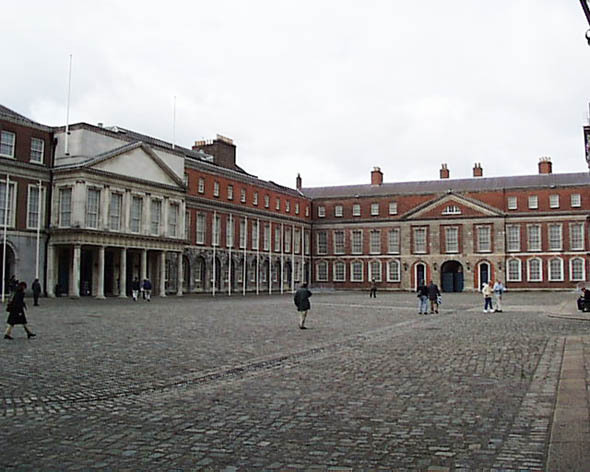 Throughout the nineteenth century, the status quo prevailed and the Castle remained the site of Government in Ireland. All that this entailed, the balls, receptions and dinners continued even through the Great Famine. In 1916 the castle came under its last attack through which it also survived. It remained in the hands of the British Authorities until it was handed over to the Free State on the 16th January 1922. One of the most infamous events in the Castle’s history was in 1907 when the Irish Crown Jewels were stolen from the Bedford Tower. 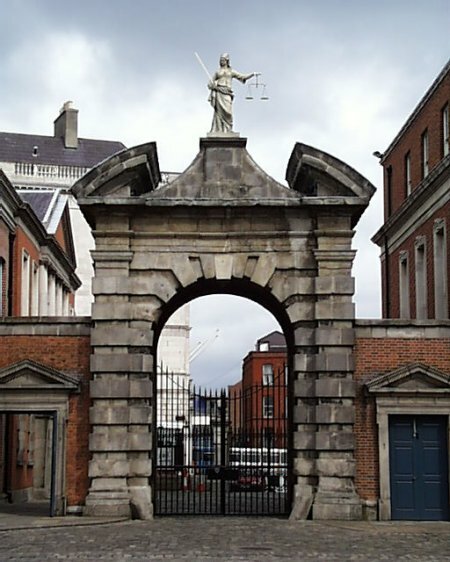 This took place the day before a visit by the King and Queen in one of the most heavily fortified areas in Britain or Ireland – the jewels or the thief had never been found. 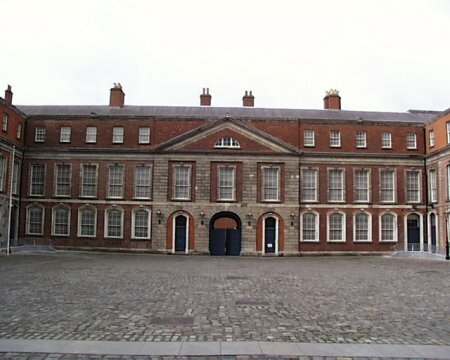 In recent years, the Upper Yard has been restored – the attic story, which was added in the 1820s, was removed from the Bedford Tower, restoring its original proportions. The ‘Blind’ Gate of Fortitude, between the Conference Centre and the Bedford Clock Tower, was opened and a new La Touche Bridge gives further access across the new moat pool. 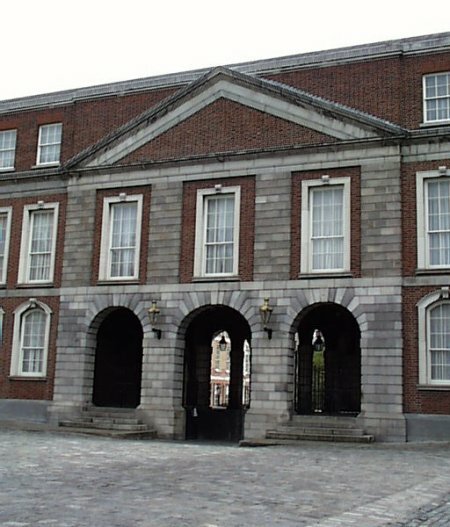 The Castle is still used for State occasions such as Presidential inaugurations and during Ireland’s presidency of the European Union.